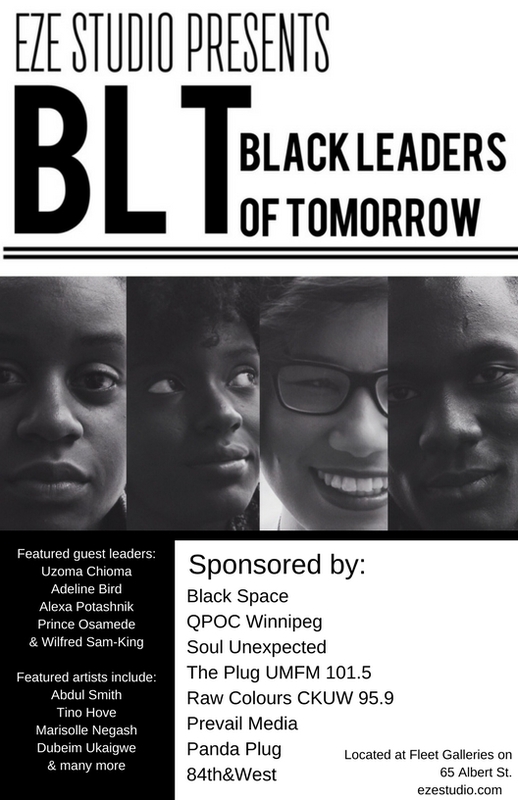 Deaf Centre Manitoba Inc.: EZE Studio presents: BLT Black Leaders of Tomorrow with ASL Interpreter provided for this coming - Thursday Feb 23rd! 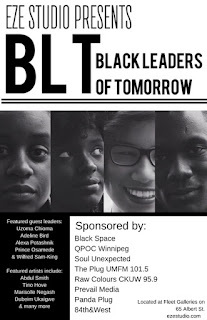 EZE Studio presents: BLT Black Leaders of Tomorrow with ASL Interpreter provided for this coming - Thursday Feb 23rd! We are hosting an art event this Thursday February 23rd in celebration of black history month . We will have ASL interpretation provided for spoken word poems, special interviews with important leaders in the local black community and there will also be visual art to enjoy. Unfortunately this space is not wheelchair accessible.